In winter 2017, with the generous funding of the Salamander Foundation, the National Heritage Digitization Strategy (NHDS) embarked on a project to learn more about newspaper digitization in Canada and to add digitized titles to the national collection. The digitized issues are from Windspeaker (1986-2015), Ha-Shilth-Sa (1974-2017) and Turtle Island News (2001-2013). Together, these collections represent more than 80 years of Indigenous news publishing. Digitizing these issues would not have been possible without the support of Bert Crowfoot, publisher of Windspeaker; Eric Plummer, editor of Ha-Shilth-Sa; and, Lynda Powless, Publisher/Editor of the Turtle Island News, who granted LAC permission to digitize the material. We are so pleased to have the back issues of Windspeaker, the Aboriginal Multi-Media Society of Alberta’s flagship publication, preserved for all to browse at Library and Archives Canada. 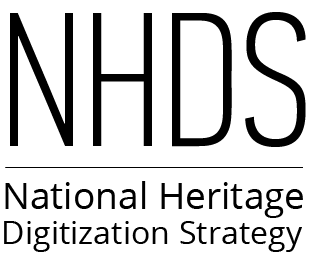 We truly appreciate the hard work done through the National Heritage Digitization Strategy pilot project to digitize 30-plus years of our publishing history. For us, it certainly demonstrates where we came from and how far we have come over the years. Windspeaker put the Indigenous perspective on a wide range of issues on the record, and those perspectives continue to be important and of interest today, particularly in this age of reconciliation. It was our purpose for publishing when we established Windspeaker, and it motivates our work as we continue today. We have heard from students, researchers and long-time readers who say they truly value the digitized back issues, as they provide access to a different world view—an Indigenous world view—that is unique in Canada today.